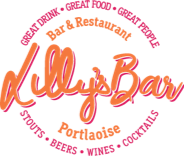 Host your perfect event at Lillys Bar & Restaurant. Our bar is the perfect venue for a birthday, engagement or a after work party. Book a table or an area – we can host up to 300 guests.